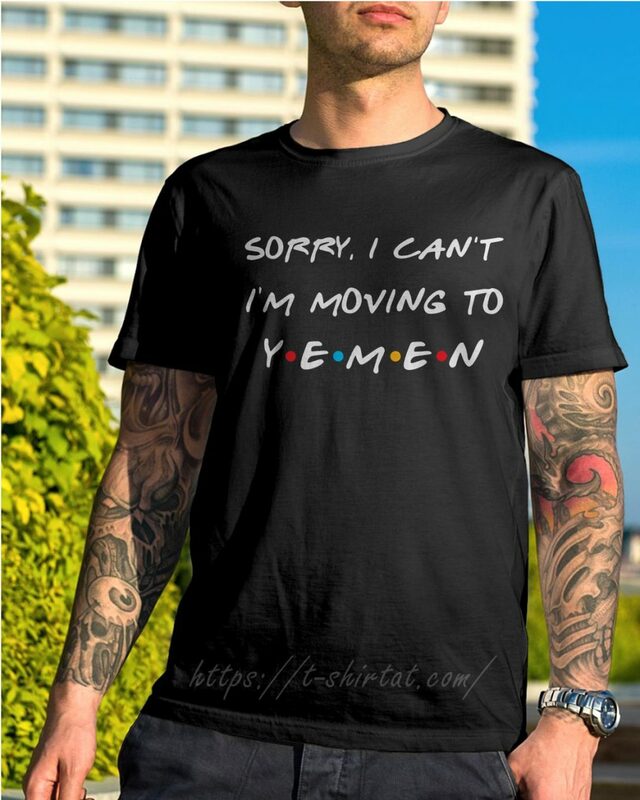 All of the goodbye Sorry I can’t I’m moving to Yemen shirt. The ones from the Stark kids are really going to break me. One of my favorite character in the show, from Kingslayer to oath keeper, Jamie is definitely becoming a better person. Funny that they showed the scene of him pushing Bran. If bran does warg back in time, tries to stop the children of the forest, gets caught himself instead, and is indeed the night king all along, does this mean that Jamie Lannister is the cause of it all? These are all so wonderful. I love hearing from each individual actor. I’m really going to miss this show. Are we going to get one of these from Peter Dinklage, please? One of the very few characters that I hated but now love love love! The other one is hound jury is still out for Theon. Wish that it was a movie experience. Where all the episodes were Sorry I can’t I’m moving to Yemen shirt. That would have been so cool. All she really wanted, to begin with, was love and family. Not really power. Then she changed. I really enjoyed watching all the characters grow through the series. I don’t have a favorite. I love all the characters. I am sad that the show will end. However, am looking forward to the many spins offs from a game of thrones the back history? Really interested in hearing more about the starks and possible dismay and lies that have been covered up over the years as well as the barbarians. What a treat to watch these! I’ve just watched got again, getting ready for Sunday, you see the evolution the characters so much more watching it a 2nd time. It will be missed! Bravo to everyone!